Philosophy (from Greek φιλοσοφία, philosophia, literally "love of wisdom") is the study of general and fundamental questions about existence, knowledge, values, reason, mind, and language. Such questions are often posed as problems to be studied or resolved. The term was probably coined by Pythagoras (c. 570 – 495 BCE). Philosophical methods include questioning, critical discussion, rational argument, and systematic presentation. Classic philosophical questions include: Is it possible to know anything and to prove it? What is most real? Philosophers also pose more practical and concrete questions such as: Is there a best way to live? Is it better to be just or unjust (if one can get away with it)? Do humans have free will? Historically, "philosophy" encompassed any body of knowledge. From the time of Ancient Greek philosopher Aristotle to the 19th century, "natural philosophy" encompassed astronomy, medicine, and physics. For example, Newton's 1687 Mathematical Principles of Natural Philosophy later became classified as a book of physics. In the 19th century, the growth of modern research universities led academic philosophy and other disciplines to professionalize and specialize. In the modern era, some investigations that were traditionally part of philosophy became separate academic disciplines, including psychology, sociology, linguistics, and economics. Traditionally, the term "philosophy" referred to any body of knowledge. In this sense, philosophy is closely related to religion, mathematics, natural science, education and politics. Newton's 1687 Mathematical Principles of Natural Philosophy is classified in the 2000s as a book of physics; he used the term "natural philosophy" because it used to encompass disciplines that later became associated with sciences such as astronomy, medicine and physics. Moral philosophy ("ethics," from êthika, literally, "having to do with character, disposition, manners") was the study of goodness, right and wrong, justice and virtue. Metaphysical philosophy ("logic") was the study of existence, causation, God, logic, forms and other abstract objects ("meta ta physika" lit: "After [the book] the Physics"). This division is not obsolete but has changed. Natural philosophy has split into the various natural sciences, especially astronomy, physics, chemistry, biology, and cosmology. Moral philosophy has birthed the social sciences, but still includes value theory (including aesthetics, ethics, political philosophy, etc.). Metaphysical philosophy has birthed formal sciences such as logic, mathematics and philosophy of science, but still includes epistemology, cosmology and others. Western philosophy is the philosophical tradition of the Western world and dates to Pre-Socratic thinkers who were active in Ancient Greece in the 6th century BCE such as Thales (c. 624 – 546 BCE) and Pythagoras (c. 570 – 495 BCE) who practiced a "love of wisdom" (philosophia) and were also termed physiologoi (students of physis, or nature). 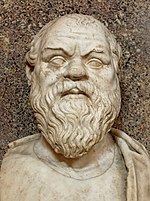 Socrates was a very influential philosopher, who insisted that he possessed no wisdom but was a pursuer of wisdom. Western philosophy can be divided into three eras: Ancient (Greco-Roman), Medieval philosophy (Christian European), and Modern philosophy. The Ancient era was dominated by Greek philosophical schools which arose out of the various pupils of Socrates, such as Plato, who founded the Platonic Academy and his student Aristotle, founding the Peripatetic school, who were both extremely influential in Western tradition. Other traditions include Cynicism, Stoicism, Greek Skepticism and Epicureanism. Important topics covered by the Greeks included metaphysics (with competing theories such as atomism and monism), cosmology, the nature of the well-lived life (eudaimonia), the possibility of knowledge and the nature of reason (logos). With the rise of the Roman empire, Greek philosophy was also increasingly discussed in Latin by Romans such as Cicero and Seneca. Medieval philosophy (5th–16th centuries) is the period following the fall of the Western Roman Empire and was dominated by the rise of Christianity and hence reflects Judeo-Christian theological concerns as well as retaining a continuity with Greco-Roman thought. Problems such as the existence and nature of God, the nature of faith and reason, metaphysics, the problem of evil were discussed in this period. Some key Medieval thinkers include St. Augustine, Thomas Aquinas, Boethius, Anselm and Roger Bacon. Philosophy for these thinkers was viewed as an aid to Theology (ancilla theologiae) and hence they sought to align their philosophy with their interpretation of sacred scripture. This period saw the development of Scholasticism, a text critical method developed in medieval universities based on close reading and disputation on key texts. The Renaissance period saw increasing focus on classic Greco-Roman thought and on a robust Humanism. 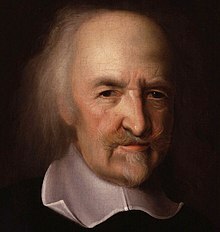 Early modern philosophy in the Western world begins with thinkers such as Thomas Hobbes and René Descartes (1596–1650). Following the rise of natural science, Modern philosophy was concerned with developing a secular and rational foundation for knowledge and moved away from traditional structures of authority such as religion, scholastic thought and the Church. Major modern philosophers include Spinoza, Leibniz, Locke, Berkeley, Hume, and Kant. 19th-century philosophy is influenced by the wider movement termed the Enlightenment, and includes figures such as Hegel a key figure in German idealism, Kierkegaard who developed the foundations for existentialism, Nietzsche a famed anti-Christian, John Stuart Mill who promoted Utilitarianism, Karl Marx who developed the foundations for Communism and the American William James. The 20th century saw the split between Analytic philosophy and Continental philosophy, as well as philosophical trends such as Phenomenology, Existentialism, Logical Positivism, Pragmatism and the Linguistic turn. The regions of the fertile Crescent, Iran and Arabia are home to the earliest known philosophical Wisdom literature and is today mostly dominated by Islamic culture. Early wisdom literature from the fertile crescent was a genre which sought to instruct people on ethical action, practical living and virtue through stories and proverbs. In Ancient Egypt, these texts were known as sebayt ('teachings') and they are central to our understandings of Ancient Egyptian philosophy. Babylonian astronomy also included much philosophical speculations about cosmology which may have influenced the Ancient Greeks. Jewish philosophy and Christian philosophy are religio-philosophical traditions that developed both in the Middle East and in Europe, which both share certain early Judaic texts (mainly the Tanakh) and monotheistic beliefs. 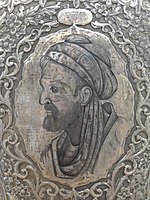 Jewish thinkers such as the Geonim of the Talmudic Academies in Babylonia and Maimonides engaged with Greek and Islamic philosophy. Later Jewish philosophy came under strong Western intellectual influences and includes the works of Moses Mendelssohn who ushered in the Haskalah (the Jewish Enlightenment), Jewish existentialism and Reform Judaism. In Iran several schools of Islamic philosophy continued to flourish after the Golden Age and include currents such as Illuminationist philosophy, Sufi philosophy, and Transcendent theosophy. The 19th- and 20th-century Arab world saw the Nahda (awakening or renaissance) movement which influenced contemporary Islamic philosophy. Indian philosophy (Sanskrit: darśana; 'world views', 'teachings') refers to the diverse philosophical traditions that emerged since the ancient times on the Indian subcontinent. Jainism and Buddhism originated at the end of the Vedic period, while Hinduism emerged as a fusion of diverse traditions, starting after the end of the Vedic period. Hindus generally classify these traditions as either orthodox or heterodox – āstika or nāstika – depending on whether they accept the authority of the Vedas and the theories of Brahman and Atman (soul, self) therein. The orthodox schools include the Hindu traditions of thought, while the heterodox schools include the Buddhist and the Jain traditions. Other schools include the Ajñana, Ajivika and Cārvāka which became extinct over their history. Important Indian philosophical concepts shared by the Indian philosophies include dharma, karma, artha, kama, dukkha (suffering), anitya (anicca, impermanence), dhyana (jhana, meditation), renunciation (with or without monasticism or asceticism), various samsara with cycles of rebirth, moksha (nirvana, kaivalya, liberation from rebirth), and virtues such as ahimsa. Jain philosophy accepts the concept of a permanent soul (jiva) as one of the five astikayas, or eternal infinite categories that make up the substance of existence. The other four being dharma, adharma, akasha (space) and pudgala (matter). The Jain thought separates matter from the soul completely. It has two major subtraditions: Digambara (sky dressed, naked) and Svetambara (white dressed), along with several more minor traditions such as Terapanthis. Asceticism is a major monastic virtue in Jainism. Jain texts such as the Tattvartha Sutra state that right faith, right knowledge and right conduct is the path to liberation. The Jain thought holds that all existence is cyclic, eternal and uncreated. The Tattvartha Sutra is the earliest known, most comprehensive and authoritative compilation of Jain philosophy. Monks debating at Sera monastery, Tibet, 2013. According to Jan Westerhoff, "public debates constituted the most important and most visible forms of philosophical exchange" in ancient Indian intellectual life. Buddhist philosophy begins with the thought of Gautama Buddha (fl. between sixth and fourth centuries BCE) and is preserved in the early Buddhist texts. It originated in India and later spread to East Asia, Tibet, Central Asia, and Southeast Asia, developing syncretic traditions in these regions. The Mahayana branches of Buddhist thought is the dominant philosophical tradition in East Asian regions such as China, Korea and Japan. The Theravada forms are dominant in Southeast Asian countries such as Sri Lanka, Burma and Thailand. Because ignorance to the true nature of things is considered one of the roots of suffering (dukkha), Buddhist philosophy is concerned with epistemology, metaphysics, ethics and psychology. Buddhist philosophical texts must also be understood within the context of meditative practices which are supposed to bring about certain cognitive shifts. Key innovative concepts include the Four Noble Truths as an analysis of dukkha, Anicca (impermanence) and Anatta (not-self). After the death of the Buddha, various groups began to systematize his main teachings, eventually developing comprehensive philosophical systems termed 'Abhidharma'. Following the Abhidharma schools, Mahayana philosophers such as Nagarjuna and Vasubandhu developed the theories of Shunyata (emptiness of all phenomena) and Vijñapti-matra (appearance only), a form of phenomenology or transcendental idealism. The Dignāga school of Pramāṇa (lit. 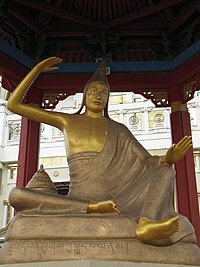 means of knowledge) promoted a complex form of epistemology and Buddhist logic. The Sthavira schools which include: Sarvāstivāda, Sautrāntika, Vibhajyavāda (later known as Theravada in Sri Lanka), and Pudgalavāda. The Mahayana schools, mainly the Madhyamaka, Yogachara, Tathāgatagarbha and Tantra. After the disappearance of Buddhism from India, some of these philosophical traditions continued to develop in the Tibetan Buddhist, East Asian Buddhist and Theravada Buddhist traditions. 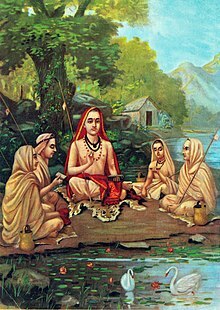 Adi Shankara is one of the much studied Hindu philosophers. The Vedas-based orthodox schools are a part of the Hinduism traditions and they are traditionally classified into six darsanas: Nyaya, Vaisheshika, Samkhya, Yoga, Mīmāṃsā and Vedanta. The Vedas as a knowledge source were interpreted differently by these six schools of Hindu philosophy, with varying degrees of overlap. They represent a "collection of philosophical views that share a textual connection", according to Chadha. They also reflect a tolerance for a diversity of philosophical interpretations within Hinduism while sharing the same foundation. Cārvāka, a materialism school that accepted the existence of free will. Ājīvika, a materialism school that denied the existence of free will. Buddhism, a philosophy that denies the existence of ātman (unchanging soul, Self) and is based on the teachings and enlightenment of Gautama Buddha. Jainism, a philosophy that accepts the existence of the ātman (soul, Self), but is based on the teachings of twenty-four ascetic teachers known as tirthankaras, with Rishabha as the first and Mahavira as the twenty-fourth. The commonly named six orthodox schools over time led to what has been called the "Hindu synthesis" as exemplified by its scripture the Bhagavad Gita. 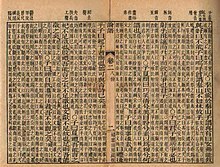 East Asian philosophical thought began in Ancient China, and Chinese philosophy begins during the Western Zhou Dynasty and the following periods after its fall when the "Hundred Schools of Thought" flourished (6th century to 221 BCE). This period was characterized by significant intellectual and cultural developments and saw the rise of the major philosophical schools of China, Confucianism, Legalism, and Daoism as well as numerous other less influential schools. These philosophical traditions developed metaphysical, political and ethical theories such Tao, Yin and yang, Ren and Li which, along with Chinese Buddhism, directly influenced Korean philosophy, Vietnamese philosophy and Japanese philosophy (which also includes the native Shinto tradition). Buddhism began arriving in China during the Han Dynasty (206 BCE – 220 CE), through a gradual Silk road transmission and through native influences developed distinct Chinese forms (such as Chan/Zen) which spread throughout the East Asian cultural sphere. During later Chinese dynasties like the Ming Dynasty (1368–1644) as well as in the Korean Joseon dynasty (1392–1897) a resurgent Neo-Confucianism led by thinkers such as Wang Yangming (1472–1529) became the dominant school of thought, and was promoted by the imperial state. African philosophy is philosophy produced by African people, philosophy that presents African worldviews, ideas and themes, or philosophy that uses distinct African philosophical methods. Modern African thought has been occupied with Ethnophilosophy, with defining the very meaning of African philosophy and its unique characteristics and what it means to be African. During the 17th century, Ethiopian philosophy developed a robust literary tradition as exemplified by Zera Yacob. Another early African philosopher was Anton Wilhelm Amo (c. 1703–1759) who became a respected philosopher in Germany. Distinct African philosophical ideas include Ujamaa, the Bantu idea of 'Force', Négritude, Pan-Africanism and Ubuntu. Contemporary African thought has also seen the development of Professional philosophy and of Africana philosophy, the philosophical literature of the African diaspora which includes currents such as black existentialism by African-Americans. Modern African thinkers have been influenced by Marxism, African-American literature, Critical theory, Critical race theory, Postcolonialism and Feminism. In Mesoamerica, Aztec philosophy was an intellectual tradition developed by individuals called Tlamatini ('those who know something') and its ideas are preserved in various Aztec codices. The Aztec worldview posited the concept of an ultimate universal energy or force called Ometeotl which can be translated as "Dual Cosmic Energy" and sought a way to live in balance with a constantly changing, "slippery" world. The theory of Teotl can be seen as a form of Pantheism. Aztec philosophers developed theories of metaphysics, epistemology, values, and aesthetics. Aztec ethics was focused on seeking tlamatiliztli (knowledge, wisdom) which was based on moderation and balance in all actions as in the Nahua proverb "the middle good is necessary". Philosophical questions can be grouped into categories. These groupings allow philosophers to focus on a set of similar topics and interact with other thinkers who are interested in the same questions. The groupings also make philosophy easier for students to approach. Students can learn the basic principles involved in one aspect of the field without being overwhelmed with the entire set of philosophical theories. A major point of debate is between realism, which holds that there are entities that exist independently of their mental perception and idealism, which holds that reality is mentally constructed or otherwise immaterial. Metaphysics deals with the topic of identity. Essence is the set of attributes that make an object what it fundamentally is and without which it loses its identity while accident is a property that the object has, without which the object can still retain its identity. Particulars are objects that are said to exist in space and time, as opposed to abstract objects, such as numbers, and universals, which are properties held by multiple particulars, such as redness or a gender. The type of existence, if any, of universals and abstract objects is an issue of debate. Dignaga founded a school of Buddhist epistemology and logic. A major area of debate involves consequentialism, in which actions are judged by the potential results of the act, such as to maximize happiness, called utilitarianism, and deontology, in which actions are judged by how they adhere to principles, irrespective of negative ends. Aesthetics is the "critical reflection on art, culture and nature." It addresses the nature of art, beauty and taste, enjoyment, emotional values, perception and with the creation and appreciation of beauty. It is more precisely defined as the study of sensory or sensori-emotional values, sometimes called judgments of sentiment and taste. Its major divisions are art theory, literary theory, film theory and music theory. An example from art theory is to discern the set of principles underlying the work of a particular artist or artistic movement such as the Cubist aesthetic. The philosophy of film analyzes films and filmmakers for their philosophical content and explores film (images, cinema, etc.) as a medium for philosophical reflection and expression. Because sound reasoning is an essential element of all sciences, social sciences and humanities disciplines, logic became a formal science. Sub-fields include mathematical logic, philosophical logic, Modal logic, computational logic and non-classical logics. 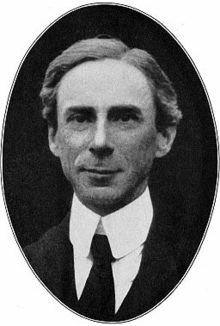 A major question in the philosophy of mathematics is whether mathematical entities are objective and discovered, called mathematical realism, or invented, called mathematical antirealism. Philosophy of religion deals with questions that involve religion and religious ideas from a philosophically neutral perspective (as opposed to theology which begins from religious convictions). Traditionally, religious questions were not seen as a separate field from philosophy proper, the idea of a separate field only arose in the 19th century. Issues include the existence of God, the relationship between reason and faith, questions of religious epistemology, the relationship between religion and science, how to interpret religious experiences, questions about the possibility of an afterlife, the problem of religious language and the existence of souls and responses to religious pluralism and diversity. The ideas conceived by a society have profound repercussions on what actions the society performs. Weaver argued that ideas have consequences. Philosophy yields applications such as those in ethics – applied ethics in particular – and political philosophy. The political and economic philosophies of Confucius, Sun Tzu, Chanakya, Ibn Khaldun, Ibn Rushd, Ibn Taymiyyah, Machiavelli, Leibniz, Hobbes, Locke, Rousseau, Adam Smith, John Stuart Mill, Marx, Tolstoy, Gandhi and Martin Luther King Jr. have been used to shape and justify governments and their actions. Progressive education as championed by Dewey had a profound impact on 20th-century US educational practices. Descendants of this movement include efforts in philosophy for children, which are part of philosophy education. Clausewitz's political philosophy of war has had a profound effect on statecraft, international politics and military strategy in the 20th century, especially around World War II. Logic is important in mathematics, linguistics, psychology, computer science and computer engineering. Other important applications can be found in epistemology, which aid in understanding the requisites for knowledge, sound evidence and justified belief (important in law, economics, decision theory and a number of other disciplines). The philosophy of science discusses the underpinnings of the scientific method and has affected the nature of scientific investigation and argumentation. Philosophy thus has fundamental implications for science as a whole. For example, the strictly empirical approach of B.F. Skinner's behaviorism affected for decades the approach of the American psychological establishment. Deep ecology and animal rights examine the moral situation of humans as occupants of a world that has non-human occupants to consider also. Aesthetics can help to interpret discussions of music, literature, the plastic arts and the whole artistic dimension of life. In general, the various philosophies strive to provide practical activities with a deeper understanding of the theoretical or conceptual underpinnings of their fields. Some of those who study philosophy become professional philosophers, typically by working as professors who teach, research and write in academic institutions. However, most students of academic philosophy later contribute to law, journalism, religion, sciences, politics, business, or various arts. 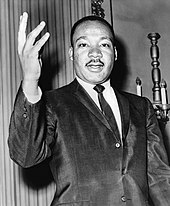 For example, public figures who have degrees in philosophy include comedians Steve Martin and Ricky Gervais, filmmaker Terrence Malick, Pope John Paul II, Wikipedia co-founder Larry Sanger, technology entrepreneur Peter Thiel, Supreme Court Justice Stephen Bryer and vice presidential candidate Carly Fiorina. Germany was the first country to professionalize philosophy. The doctorate of philosophy (PhD) developed in Germany as the terminal Teacher's credential in the mid 17th century. At the end of 1817, Georg Wilhelm Friedrich Hegel was the first philosopher to be appointed Professor by the State, namely by the Prussian Minister of Education, as an effect of Napoleonic reform in Prussia. In the United States, the professionalization grew out of reforms to the American higher-education system largely based on the German model. Many inquiries outside of academia are philosophical in the broad sense. Novelists, playwrights, filmmakers, and musicians, as well as scientists and others engage in recognizably philosophical activity. Although men have generally dominated philosophical discourse, women have engaged in philosophy throughout history. Women philosophers have contributed since ancient times–notably Hipparchia of Maroneia (active c. 325 BCE) and Arete of Cyrene (active 5th–4th centuries BCE). More were accepted during the ancient, medieval and modern eras, but no women philosophers became part the Western canon until the 20th and 21st century, when some sources indicate that Susanne Langer, G.E.M. Anscombe, Hannah Arendt and Simone de Beauvoir entered the canon. In the early 1800s, some colleges and universities in the UK and US began admitting women, producing more female academics. Nevertheless, U.S. Department of Education reports from the 1990s indicate that few women ended up in philosophy, and that philosophy is one of the least gender-proportionate fields in the humanities. In 2014, Inside Higher Education described the philosophy "...discipline's own long history of misogyny and sexual harassment" of women students and professors. University of Sheffield philosophy professor Jennifer Saul stated in 2015 that women are "...leaving philosophy after being harassed, assaulted, or retaliated against." In the early 1990s, the Canadian Philosophical Association noted a gender imbalance and gender bias in the academic field of philosophy. In June 2013, a US sociology professor stated that "out of all recent citations in four prestigious philosophy journals, female authors comprise just 3.6 percent of the total." Susan Price argues that the philosophical "...canon remains dominated by white males – the discipline that...still hews to the myth that genius is tied to gender." Morgan Thompson suggests that discrimination, differences in abilities, grade differences and the lack of role models in philosophy could be potential factors for the gender gap. According to Saul, "[p]hilosophy, the oldest of the humanities, is also the malest (and the whitest). While other areas of the humanities are at or near gender parity, philosophy is actually more overwhelmingly male than even mathematics." Similarly, research into professional participation in Australian philosophy indicates only a minor increase of women in senior positions since the 1960s, as well as a patterned under-citation of female philosophers. ^ "Online Etymology Dictionary". Etymonline.com. Retrieved 22 August 2010. ^ The definition of philosophy is: "1. orig., love of, or the search for, wisdom or knowledge 2. theory or logical analysis of the principles underlying conduct, thought, knowledge, and the nature of the universe". Webster's New World Dictionary (Second College ed.). ^ Cambridge University. "Faculty of Philosophy". Faculty of philosophy. University of Cambridge. Retrieved 28 March 2019. ^ University of Oxford. "Oxford Living Dictionaries". Oxford Living Dictionaries. Retrieved 28 March 2019. ^ Sellars, Wilfrid (1963). Empiricism and the Philosophy of Mind (PDF). Routledge and Kegan Paul Ltd. pp. 1, 40. ^ Chalmers, David J. (1995). "Facing up to the problem of consciousness". Journal of Consciousness Studies. 2 (3): 200, 219. Retrieved 28 March 2019. ^ Henderson, Leah (2019). "The problem of induction". Stanford Encyclopedia of Philosophy. Retrieved 28 March 2019. ^ Adler, Mortimer J. (2000). How to Think About the Great Ideas: From the Great Books of Western Civilization. Chicago, Ill.: Open Court. ISBN 978-0-8126-9412-3. ^ Quinton, Anthony, The ethics of philosophical practice, p. 666, Philosophy is rationally critical thinking, of a more or less systematic kind about the general nature of the world (metaphysics or theory of existence), the justification of belief (epistemology or theory of knowledge), and the conduct of life (ethics or theory of value). Each of the three elements in this list has a non-philosophical counterpart, from which it is distinguished by its explicitly rational and critical way of proceeding and by its systematic nature. Everyone has some general conception of the nature of the world in which they live and of their place in it. Metaphysics replaces the unargued assumptions embodied in such a conception with a rational and organized body of beliefs about the world as a whole. Everyone has occasion to doubt and question beliefs, their own or those of others, with more or less success and without any theory of what they are doing. Epistemology seeks by argument to make explicit the rules of correct belief formation. Everyone governs their conduct by directing it to desired or valued ends. Ethics, or moral philosophy, in its most inclusive sense, seeks to articulate, in rationally systematic form, the rules or principles involved. in Honderich 1995. ^ Greco, John, ed. (2011). The Oxford Handbook of Skepticism (1st ed.). Oxford University Press. ISBN 978-0-19-983680-2. ^ Glymour, Clark (2015). "Chapters 1–6". Thinking Things Through: An Introduction to Philosophical Issues and Achievements (2nd ed.). A Bradford Book. ISBN 978-0-262-52720-0. ^ "Contemporary Skepticism | Internet Encyclopedia of Philosophy". www.iep.utm.edu. Retrieved 25 April 2016. ^ "The Internet Classics Archive | The Republic by Plato". classics.mit.edu. Retrieved 25 April 2016. ^ "Free Will | Internet Encyclopedia of Philosophy". www.iep.utm.edu. Retrieved 25 April 2016. ^ a b "Philosophy". www.etymonline.com. Online Etymological Dictionary. Retrieved 19 March 2016. The English word "philosophy" is first attested to c. 1300, meaning "knowledge, body of knowledge." ^ a b Lindberg 2007, p. 3. ^ Shapin, Steven (1998). The Scientific Revolution (1st ed.). University Of Chicago Press. ISBN 978-0-226-75021-7. ^ Briggle, Robert Frodeman and Adam. "When Philosophy Lost Its Way". Opinionator. Retrieved 25 April 2016. ^ Sartwell, Crispin (2014). Zalta, Edward N. (ed.). Beauty (Spring 2014 ed.). ^ "Plato, Hippias Major | Loeb Classical Library". Loeb Classical Library. Retrieved 27 April 2016. ^ Feyerabend, Paul; Hacking, Ian (2010). Against Method (4th ed.). Verso. ISBN 978-1-84467-442-8. ^ "Nozick, Robert: Political Philosophy | Internet Encyclopedia of Philosophy". www.iep.utm.edu. Retrieved 25 April 2016. ^ "Rawls, John | Internet Encyclopedia of Philosophy". www.iep.utm.edu. Retrieved 25 April 2016. ^ More, Thomas (2015). Utopia. Courier Corporation. ISBN 978-0-486-11070-7. ^ "Merriam-Webster Dictionary". www.merriam-webster.com. Retrieved 14 May 2016. ^ Kant, Immanuel (2012). Kant: Groundwork of the Metaphysics of Morals (2nd ed.). Cambridge University Press. ISBN 9781107401068. Ancient Greek philosophy was divided into three branches of knowledge: natural science, ethics, and logic. ^ McGinn, Colin (1993). Problems in Philosophy: The Limits of Inquiry (1st ed.). Wiley-Blackwell. ISBN 978-1-55786-475-8. ^ "Video & Audio: Why isn't there more progress in philosophy? – Metadata". www.sms.cam.ac.uk. Retrieved 25 April 2016. ^ Brewer, Talbot (2011). The Retrieval of Ethics (1st ed.). Oxford; New York: Oxford University Press. ISBN 978-0-19-969222-4. ^ Garfield (Editor), Edelglass (Editor), The Oxford Handbook of World Philosophy, Introduction. ^ Hegel, Georg Wilhelm Friedrich; Brown, Robert F. (2006). Lectures on the History of Philosophy: Greek philosophy. Clarendon Press. p. 33. ISBN 978-0-19-927906-7. ^ "Plato's "Symposium"". www.perseus.tufts.edu. p. 201d and following. Retrieved 22 April 2016. ^ Diane Collinson. Fifty Major Philosophers, A Reference Guide. p. 125. ^ Karl Potter (1961). "A Fresh Classification of India's Philosophical Systems". Journal of Asian Studies. 21 (1): 25–32. JSTOR 2050985. , Quote: "Whatever the source of the generally accepted classification of Indian philosophical systems, its six divisions do not appear to most scholars in this field to stem from logic. As a systematic attempt to deal with theoretical problems of metaphysics, logic, epistemology, and related topics, the “six systems” account has several glaring deficiencies. Two of these will be mentioned briefly. [...] A second deficiency in the “six-system” account is that it only covers orthodox philosophers, i.e., the Hindu schools of thought. From a philosophical standpoint, the views of the Buddhists and Jains are equally important." ^ William A. Young (2005). The World's Religions: Worldviews and Contemporary Issues. Pearson Prentice Hall. pp. 61–64, 78–79. ISBN 978-0-13-183010-3. ^ Sushil Mittal; Gene Thursby (2017). Religions of India: An Introduction. Taylor & Francis. pp. 3–5, 15–18, 53–55, 63–67, 85–88, 93–98, 107–115. ISBN 978-1-134-79193-4. ^ "dravya – Jainism". Encyclopædia Britannica. ^ Paul Dundas (2002). The Jains. Psychology Press. pp. 2–3, 45–49, 260–261. ISBN 978-0-415-26606-2. ^ Paul Dundas (2002). The Jains. Psychology Press. pp. 163–174. ISBN 978-0-415-26606-2. ^ Natubhai Shah (2004). Jainism: The World of Conquerors. Motilal Banarsidass. pp. 90–95. ISBN 978-81-208-1938-2. ^ Hemacandra (1998). The Lives of the Jain Elders. Oxford University Press. pp. 258–260. ISBN 978-0-19-283227-6. ^ Kedar Nath Tiwari (1983). Comparative Religion. Motilal Banarsidass. pp. 78–83. ISBN 978-81-208-0293-3. ^ Umāsvāti/Umasvami; Nathmal Tatia (Translator) (1994). That which is: Tattvartha Sutra. Harper Collins. pp. xvii–xviii. ISBN 978-0-06-068985-8. ^ Westerhoff, Jan, The Golden Age of Indian Buddhist Philosophy, Oxford University Press, 2018, p. 13. ^ Westerhoff, Jan, The Golden Age of Indian Buddhist Philosophy, Oxford University Press, 2018, p. 8. ^ Robert E. Buswell Jr.; Donald S. Lopez Jr. (2013). The Princeton Dictionary of Buddhism. Princeton University Press. pp. 42–47. ISBN 978-1-4008-4805-8. ^ Westerhoff, Jan, The Golden Age of Indian Buddhist Philosophy, Oxford University Press, 2018, p. 37. ^ Westerhoff, Jan, The Golden Age of Indian Buddhist Philosophy, Oxford University Press, 2018, p. xxiv. ^ N.V. Isaeva (1992). Shankara and Indian Philosophy. State University of New York Press. pp. 1–5. ISBN 978-0-7914-1281-7. OCLC 24953669. ^ John Koller (2013). Chad Meister and Paul Copan (ed.). Routledge Companion to Philosophy of Religion. Routledge. ISBN 978-1-136-69685-5. ^ Ian Kesarcodi-Watson (1978). "Hindu Metaphysics and Its Philosophies: Śruti and Darsána". International Philosophical Quarterly. 18 (4): 413–432. doi:10.5840/ipq197818440. ^ a b Edward Craig (2013). Concise Routledge Encyclopedia of Philosophy. Routledge. pp. 353–354. ISBN 978-1-134-59391-0. , Quote: "Hindu philosophy is the longest surviving philosophical tradition in India. [...] It is customary to name six Hindu schools, of the more than a dozen that existed, thus lumping several into a single school. This is particularly the case with Vedanta. The six are listed in three pairs: Samkhya-Yoga, Vedanta-Mimamsa, Nyaya-Vaisheshika." ^ Arvind Sharma (1990). A Hindu Perspective on the Philosophy of Religion. Palgrave Macmillan. pp. 1–2. ISBN 978-1-349-20797-8. , Quote: "The attitude towards the existence of God varies within the Hindu religious tradition. This may not be entirely unexpected given the tolerance for doctrinal diversity for which the tradition is known. Thus of the six orthodox systems of Hindu philosophy, only three address the question in some detail. These are the schools of thought known as Nyaya, Yoga and the theistic forms of Vedanta. ^ Frazier, Jessica (2011). The Continuum companion to Hindu studies. London: Continuum. pp. 1–15. ISBN 978-0-8264-9966-0. John C. Plott et al (2000), Global History of Philosophy: The Axial Age, Volume 1, Motilal Banarsidass, ISBN 978-8120801585, p. 63, Quote: "The Buddhist schools reject any Ātman concept. As we have already observed, this is the basic and ineradicable distinction between Hinduism and Buddhism"
Alexander Wynne (2011), The ātman and its negation, Journal of the International Association of Buddhist Studies, Volume 33, Number 1–2, pp. 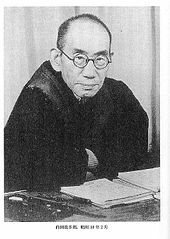 103–105, Quote: "The denial that a human being possesses a "self" or "soul" is probably the most famous Buddhist teaching. It is certainly its most distinct, as has been pointed out by G.P. Malalasekera: "In its denial of any real permanent Soul or Self, Buddhism stands alone." A similar modern Sinhalese perspective has been expressed by Walpola Rahula: "Buddhism stands unique in the history of human thought in denying the existence of such a Soul, Self or Ātman." The "no Self" or "no soul" doctrine (Sanskrit: anātman; Pāli: anattan) is particularly notable for its widespread acceptance and historical endurance. It was a standard belief of virtually all the ancient schools of Indian Buddhism (the notable exception being the Pudgalavādins), and has persisted without change into the modern era. [...] both views are mirrored by the modern Theravādin perspective of Mahasi Sayadaw that "there is no person or soul" and the modern Mahāyāna view of the fourteenth Dalai Lama that "[t]he Buddha taught that … our belief in an independent self is the root cause of all suffering". ^ Encyclopædia Britannica (2015). "Bhagavad Gita, Hinduism". ^ "Use of "Tlamatini" in Aztec Thought and Culture: A Study of the Ancient Nahuatl Mind – Miguel León Portilla". Retrieved 12 December 2014. ^ Plantinga, Alvin (2014). Zalta, Edward N. (ed.). Religion and Science (Spring 2014 ed.). ^ "Merriam-Webster.com". Retrieved 21 August 2012. ^ White, Curtis (2014). The Science Delusion: Asking the Big Questions in a Culture of Easy Answers. Brooklyn, NY: Melville House. ISBN 9781612193908. ^ Wainwright, WJ., The Oxford Handbook of Philosophy of Religion, Oxford Handbooks Online, 2004, p. 3. "The expression “philosophy of religion” did not come into general use until the nineteenth century, when it was employed to refer to the articulation and criticism of humanity's religious consciousness and its cultural expressions in thought, language, feeling, and practice." ^ "Where Can Philosophy Take Me? | Philosophy". philosophy.as.uky.edu. Retrieved 2 May 2016. ^ "Why Study Philosophy? An Unofficial "Daily Nous" Affiliate". www.whystudyphilosophy.com. Retrieved 2 May 2016. ^ Cropper, Carol Marie (26 December 1997). "Philosophers Find the Degree Pays Off in Life And in Work". The New York Times. ISSN 0362-4331. Retrieved 2 May 2016. ^ Marketing, Mansfield University Department of. "Famous Philosophy Majors | Mansfield University". www.mansfield.edu. Retrieved 2 May 2016. ^ W, Justin (8 December 2014). "Famous Philosophy Majors Poster (updated with new link)". Daily Nous. Retrieved 2 May 2016. ^ Schuessler, Jennifer (4 October 2016). "Canadian Philosopher Wins $1 Million Prize". The New York Times. ISSN 0362-4331. Retrieved 4 October 2016. ^ "Erhard-Weigel-Gesellschaft: Biographie Weigels". Erhard-weigel-gesellschaft.de. Archived from the original on 14 November 2016. Retrieved 2 November 2016. ^ Scott Soames, Philosophical Analysis in the Twentieth Century, vol. 2, p. 463. ^ "Socrates Tenured – Rowman & Littlefield International". www.rowmaninternational.com. Retrieved 25 April 2016. ^ Duran, Jane. Eight women philosophers: theory, politics, and feminism. University of Illinois Press, 2005. ^ "Why I Left Academia: Philosophy's Homogeneity Needs Rethinking – Hippo Reads". Archived from the original on 9 June 2017. ^ Haldane, John (June 2000). "In Memoriam: G. E. M. Anscombe (1919–2001)". The Review of Metaphysics. 53 (4): 1019–1021. JSTOR 20131480. ^ "Salary, Promotion, and Tenure Status of Minority and Women Faculty in U.S. Colleges and Universities. "National Center for Education Statistics, Statistical Analysis Report, March 2000; U.S. Department of Education, Office of Education Research and Improvement, Report # NCES 2000–173; 1993 National Study of Postsecondary Faculty (NSOPF:93). See also "Characteristics and Attitudes of Instructional Faculty and Staff in the Humanities." National Center For Education Statistics, E.D. Tabs, July 1997. U.S. Department of Education, Office of Education Research and Improvement, Report # NCES 97-973;1993 National Study of Postsecondary Faculty (NSOPF-93). ^ "Unofficial Internet campaign outs professor for alleged sexual harassment, attempted assault". ^ Ratcliffe, Rebecca; Shaw, Claire (5 January 2015). "Philosophy is for posh, white boys with trust funds' – why are there so few women?". ^ "Women in Philosophy: Problems with the Discrimination Hypothesis". National Association of Scholars. ^ Sesardic, Neven; De Clercq, Rafael (2014). "Women in Philosophy: Problems with the Discrimination Hypothesis" (PDF). Academic Questions. 27 (4): 461. doi:10.1007/s12129-014-9464-x. ^ Price, Susan. "Reviving the Female Canon". ^ Thompson, Morgan (1 March 2017). "Explanations of the gender gap in philosophy". Philosophy Compass. 12 (3): n/a. doi:10.1111/phc3.12406. ISSN 1747-9991. ^ Saul, Jennifer M. "Philosophy has a sexual harassment problem". Retrieved 16 December 2016. ^ "Popular Culture and Philosophy". www.opencourtbooks.com. Retrieved 2 May 2016. ^ "IJBS". Web.archive.org. 21 October 2010. Archived from the original on 21 October 2010. Retrieved 11 July 2012. Cite error: A list-defined reference named "philosophy" is not used in the content (see the help page). Baldwin, Thomas, ed. (2003). The Cambridge History of Philosophy 1870–1945. Cambridge University Press. ISBN 978-0-521-59104-1. Copenhaver, Brian P.; Schmitt, Charles B. (1992). Renaissance philosophy. Oxford University Press. ISBN 978-0-19-219203-5. Nadler, Steven (2008). A Companion to Early Modern Philosophy. John Wiley & Sons. ISBN 978-0-470-99883-0. Rutherford, Donald (2006). The Cambridge Companion to Early Modern Philosophy. Cambridge University Press. ISBN 978-0-521-82242-8. Schmitt, C.B. ; Skinner, Quentin, eds. (1988). The Cambridge History of Renaissance Philosophy. Cambridge University Press. ISBN 978-0-521-39748-3. Kenny, Anthony (2012). A New History of Western Philosophy. Oxford University Press. ISBN 978-0-19-958988-3. Bunnin, Nicholas; Tsui-James, Eric, eds. (2008). The Blackwell Companion to Philosophy. John Wiley & Sons. ISBN 978-0-470-99787-1. Leaman, Oliver; Morewedge, Parviz (2000). "Islamic philosophy modern". In Craig, Edward (ed.). Concise Routledge Encyclopedia of Philosophy. Psychology Press. ISBN 978-0-415-22364-5. Buccellati, Giorgio (1 January 1981). "Wisdom and Not: The Case of Mesopotamia". Journal of the American Oriental Society. 101 (1): 35–47. doi:10.2307/602163. JSTOR 602163. Leaman, Oliver (14 April 2000). A Brief Introduction to Islamic Philosophy. ISBN 978-0-7456-1960-6. Corbin, Henry (23 June 2014) . History Of Islamic Philosophy. Translated by Sherrard,, Liadain; Sherrard, Philip. Taylor & Francis. ISBN 978-1-135-19888-6. Husserl, Edmund; Welton, Donn (1999). The Essential Husserl: Basic Writings in Transcendental Phenomenology. Indiana University Press. ISBN 978-0-253-21273-3. Chan, Wing-tsit (1963). A Source Book in Chinese Philosophy. Princeton University Press. ISBN 978-0-691-01964-2. Huang, Siu-chi (1999). Essentials of Neo-Confucianism: Eight Major Philosophers of the Song and Ming Periods. Greenwood Publishing Group. ISBN 978-0-313-26449-8. Bunnin, Nicholas; Tsui-James, Eric, eds. (15 April 2008). The Blackwell Companion to Philosophy. John Wiley & Sons. ISBN 978-0-470-99787-1.